With this pair I thought of trying a braided cable pattern. It actually was alot easier that I thought it was going to be since I've never done cables before. 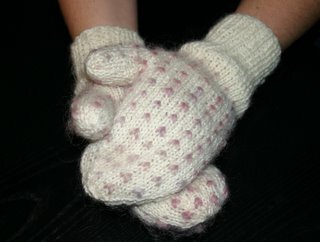 After accidentally making two right hand mitts, I've finally finished this pair in time for Christmas! I am new to this blogging craziness, so bear with me! I was inspired to start one by my mother-in-law, who keeps track of all of her knitting masterpieces. She bit me with the knitting bug a few years ago so I'm about to do the same thing and start a blog. As you may have noticed from my blog title, my favourite thing to knit is mittens. 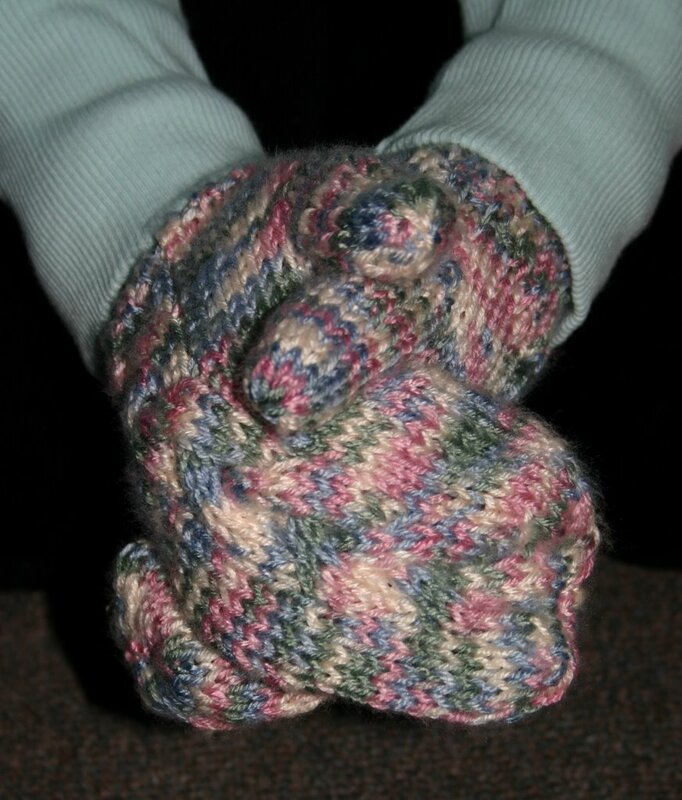 I'm not sure why, but they knit up quite quickly and almost always come out looking awesome.